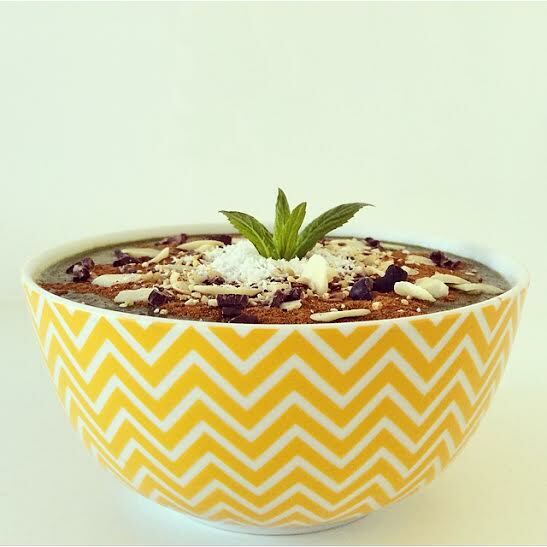 Let’s get up 20 minutes earlier to make a killer healthy and nutritious smoothie bowl this Monday morning to kick the week and Nutritional November off to a great start. I am currently on the other side of the world to Australia in a gorgeous AirBnb in Lisbon, Portugal so apologies for the delay and time difference. I will try my best to get these posts up in time for your morning read. 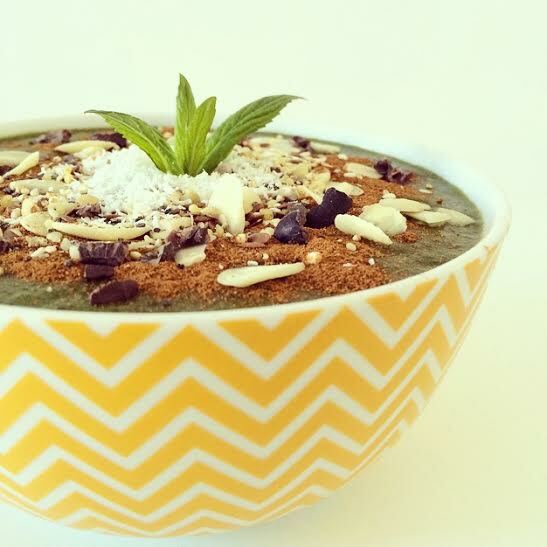 Try this quick and easy fiber and protein packed smoothie bowl. Here is a quick summary of the ingredients and their benefits. Keep it simple! CACAO; is the king of raw superfoods from the chocolate plant. Cacao is high in antioxidants and does wonders for our body. It helps improve your memory, increases your bliss, reduces heart disease, sheds fat, boosts immunity, and creates loads of energy. MATCHA; I am sure you have heard or seen the gorgeous Matcha green tea powder around or sampled a delicious green tea Matcha latte? If not google it and get amongst it. Matcha is 100% pure great tea leaves ground into powder with 137 times more antioxidants than regular green tea. Not only does it make everything look STUNNING – you can add it to almost anything too. My favourite addition to smoothies or raw treats at the moment. Matcha cheesecake or green tea banana ice cream anyone? YUM! Buy a packet from my fave Matcha Maiden >> site here. BANANA; dubbed natures energy bar, bananas are high in potassium and essential carbohydrates and a smoothie MUST. A great way to make a smoothie thick and creamy without adding sugar laden ice cream or artificial sugar bombs. Bananas also make you happy due to high levels of tryptophan which is converted into serotonin. Fact! MINT; is a herb that has been used for hundreds of years for its great medicinal properties. Mint is a natural digestive and soothes the stomach in cases of indigestion or inflammation. It is also a delicious palate cleaner and teamed with cacao is the best flavour ever! Tastes like a packet of Aarnotts Mint Slice. Yep you know that ones. Convinced that this power house smoothie is nutritionally packed? Try it now.